Chicago, Illinois – May 23, 2008 - Barbara A. McKinzie, Alpha Kappa Alpha's international president, expressed indignation and outrage over the Tennessee Republican Party running a smear campaign against Michelle Obama, wife of Democratic presidential candidate Barack Obama. McKinzie denounced the transparent mindset that triggered the decision by the Tennessee GOP to design such an ad. She said it is the basis of an ugly underpinning that is being echoed in established racist Internet chat rooms, within the right-leaning blogosphere and among some conservative pundits. To make Michelle Obama a target of a potentially hate inspired offensive is something that she—and the 200,000 primarily African-American female members she leads—will not tolerate. "The impulse to take a statement of hers out of context and make it a focus of an unpatriotic ad is to trivialize her and to attempt to devalue her," said McKinzie. "This is unacceptable!" She said the ad appeals to the subconscious racial fears of a sliver of Americans who remain unaware of progress. "This intransigent posture," said McKinzie, "defies the American ideal of democracy and fairness, the bedrock of the Constitution." McKinzie said at a time when the economy should be the issue around which Americans should unite, using a fringe element to stoke racial fears is a temporary distraction. Emphasizing that point, McKinzie said, "The fragile state of America's economic psyche threatens the viability of this nation. 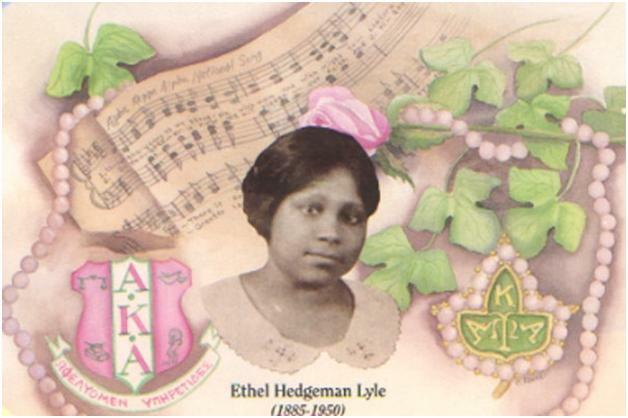 Alpha Kappa Alpha has made economics a major focus through the ESP program that is the theme of this administration. Putting America's psyche on a strong financial global footing needs to be front and center on everyone's mind—not polarizing messages that fan the flames of historical racial prejudice. We must snuff out the embers of racial fear that the ad attempts to ignite," declared McKinzie. In lambasting the ad, McKinzie took a cue from Secretary of State Condoleezza Rice who acknowledged that the United States still has trouble dealing with race because of a national "birth defect" that denied black Americans the opportunities given to whites at the country's very founding. "This ad," stressed McKinzie, "is nothing less than a very public display of America's 'birth defect.'" "Given the historical challenges facing American women, the resolve should be to improve the stature of American women rather than to denigrate them," declared McKinzie. She challenged all fair-thinking citizens—including President George W. Bush, Senator Hillary Clinton and Secretary of State Rice—to join Alpha Kappa Alpha Sorority in denouncing the ad and the climate of intolerance that prompted its creation. She said she would galvanize members and wage a counteroffensive by speaking out, writing letters, issuing statements and signaling that these types of acts will trigger a solidarity that will combat offensive messages. McKinzie said she also sees a dangerous trend emerging if this type of offensive behavior is not checked. "The very real possibility of having an African-American woman as First Lady of this nation underscores progress that a small number of America's citizens continue to ignore. Yet, they have a voice that should be heard when it is tempered with truth, not transmitted through offensive sound bites." Continued McKinzie, "Having a party organization use Michelle Obama as a target appeals to a bygone era that blemished America's reputation and global stature. This type of ad could pose a real threat to the safety of the candidate's wife given America's historic behavior. It demands action from the president on down." Declared McKinzie, "As the head of one of the leading organizations for African-American women, I am compelled to speak out when injustice is so blatant. During our Centennial Convention from July 11-18, we will address this matter. Clearly this ad—and the ugliness that is bubbling under the surface of it—mandate action and we are poised to respond." 100 years ago today, nine black female students met in Miner Hall on the campus of Howard University in Washington, DC. 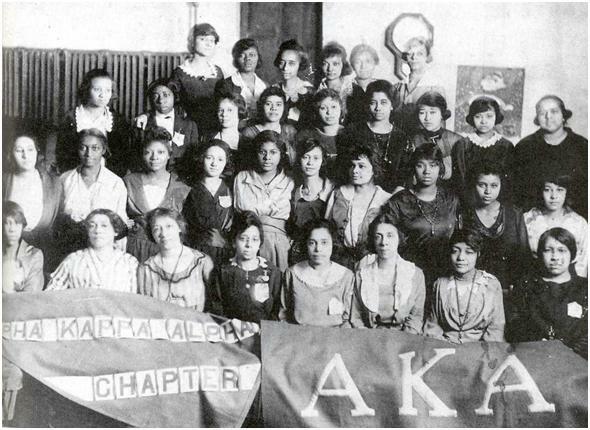 Of that meeting, Alpha Kappa Alpha Sorority was born. The organization's colors: salmon pink and apple green and its motto: "By culture and merit". Since that day, the organization has grown to approximately 200,000 members. I am honored to be one of those 200,000 members. Do take a look at highlights of the organization's past by visiting the Centennial Celebration Web site, an online commemoration of the courageous achievements of a dynamic group of women. The site also includes wonderful resources that frame the sorority's accomplishments in light of the changing times in the world. The organization's membership remains predominantly black but is comprised of women of various ethnicities. Click here for a video presentation of this organization's remarkable history.